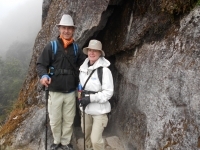 The hike with Inca Trail Reservations was overall a great experience. The place was very accommodating for all parties and the food, sights, and company were very enjoyable. I am unsure of the limitations / restrictions for national parks in Peru, but more time and freedom to explore the sights would have been appreciated. The beginning of the adventure started good, mainly flat so it was easy, then we had nice lunch under a tent that the porters made for us. Food was delicious. Then it rained so we had to run to next camp site. We were all wet in the tent and trying to get settled in. What a fantastic 4 days ! A time which will never be forgotten ! Really enjoyed the whole experience, except for day 2, that day I thought I might have been going to die !! We had a fantastic group with very nice leaders. It started as a joke between 2 friends... But soon became a reality. 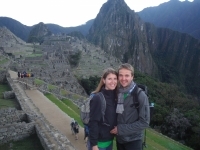 Neither of us have really done much hiking but we figured if we were going all the way to Machu Picchu, then we wouldn't take the easy option of the train! 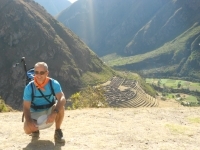 In the morning, the trip starts at 6 o'clock in Cusco. They pick us up with a bus to Mollepata. The guide Carlos (King of the Mountains), introduced us to the chefs and the horsemen. The first day was a training day and we went to a nice place, Umantay lake. 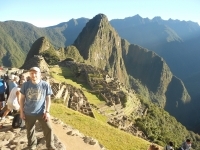 Since I was I small child I wanted to visit Machu Picchu and this summer I finally fulfill my dream. 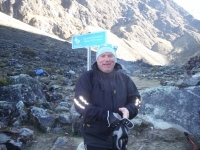 Doing the Salkantay trek was a really great experience. 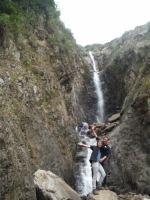 The program was very good and the organization of the trip was without any mistakes. The evening before the trip started, the guide came to our hostel for a briefing, which was very helpful, as we had the important information. The 1st day was a training day with a first hiking to Umantay Lake, which was amazing with the Umantay in the background. 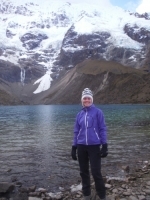 Taking the Salkantay trek was a great decision and one the best experience in my life. 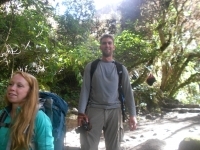 We were in a group of 10 people and since all the other members of the group were younger than me, I felt very good and everybody was supportive including our guide Carlos. 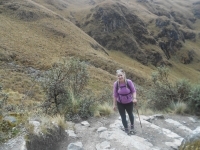 My boyfriend and I went on the Salkantay trek (5 days and 4 nights) and we can really recommend it ! The nature was absolutely beautiful and everything was great planned. The food was great and people there were taking care of all you needed. 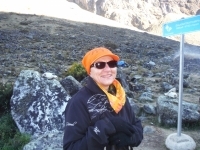 I went to the 5 day 4 night Salkantay trek. 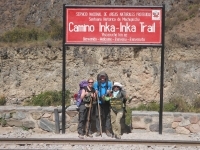 We set out to conquer the Inca Trail with many expectations as a highlight of our South America adventure coming from Chile via Bolivia to Peru. Two days before starting, we were getting a briefing of what would happen on each day. The guides picked us all up in the morning the first day, checked our luggage helped us to get ready for the adventure. Venir a Perú ha sido un sueño. Cuando decidimos hacer el Camino del Inca mi marido y yo, pensé que estaba loca, porque me parecía que iba a ser muy duro. 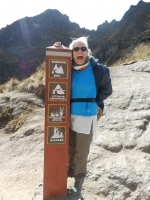 Walking the Inca Trail and visiting Machu Picchu has been a long time dream of mine. I was not disappointed. We had a good briefing which covered the necessities of our hike and gave us the necessary information. However, we would have appreciated knowing about the weight limits in advance. It would have helped us plan better.